The super popular blogger, Chiara Ferragni aka The Blonde Salad, got married on Saturday, with the Italian rapper Fedez. The outdoor ceremony was held at Dimora delle Balze, a secluded 19th-century palazzo in Noto. Chiara flew all her friends & family on a private Alitalia flight and the guests were welcomed at the airport by mascot versions of the couple. The wedding festivities started one day earlier, on August 31st, leading to the big rehearsal dinner at Noto Bassi di Palazzo Nicolaci. Chiara wore a Prada dress for her rehearsal dinner, and the night was very emotional but also very fun. For the wedding the #TheFerragnez was created, and everyone posted photos from the wedding weekend online. Marco Ferragni, the bride’s father, was the one that escorted her down the aisle, following the bridesmaids, all dressed in custom pink Alberta Ferretti dresses. Her sisters were 2 of the bridesmaids, along with some of her closest friends. Chiara wore a custom Dior dress, consisted of an embroidered playsuit, and a long tulle skirt. Her shoes were also Dior, personalized with her name on one of the shoes. For the reception, Chiara wore a second custom dress by Dior, with embroideries and romantic phrases stitched into them. To make the dress more personal, she had the Dior Teaam add phrases from the song, Fedez wrote (and proposed with) for her. After the dinner, she switched her long skirt for a mini tulle one, allowing her to be able to enjoy the night even more. The night ended with a performance by Fedez, and an amusement park full with a Ferris wheel, and a carousel, and of course, lots of fireworks. The Royal Wedding was held on May 19th, in Windsor, and hundreds of guests were invited to join the ceremony, and celebrate the marriage of Meghan Markle and Prince Harry. According to the dress code on the invite, men were invited to wear military uniform, morning coats, or lounge suits while women were advised to choose a “day dress with hat”. Some guests followed the dress code, while others followed their own path, and were “frowned upon” by the media. Our favorite dress was definitely the one Amal Clooney wore. The title of the Costume Institute’s blockbuster 2018 show, for the Met Gala, was Heavenly Bodies: Fashion and the Catholic Imagination, and it’s one of the biggest that has ever been produced, with Vatican having lent approximately 50 pieces from the Sistine Chapel Sacristy. But how did the celebrities interpreted the theme of the event? 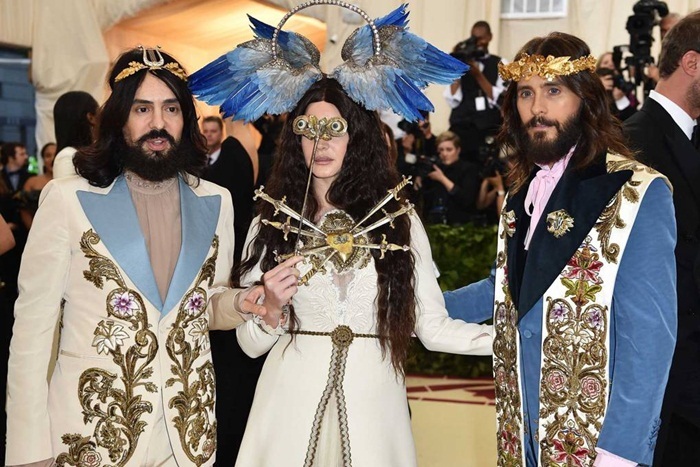 Some added a bejewelled crucifix on their couture attire, while others opted for halos, or High Renaissance inspiration. Katy Perry took it even further, by wearing a Versace gold outfit (with over-the-knee boots), and full-on wings. We can’t really pick favorites here, because there were so many inspired outfits, but we’ll tell you which ones we found more impressive, and on-theme. Everyone is talking about Meghan Markle, Prince Harry’s wife-to-be, these days, but we had noticed Meghan and her style, way before their engagement, or even their relationship started. Meghan is an actress, mostly known for her role as Rachel Zane, in the popular TV show, Suits. As a TV series aficionado, of course I was already watching the show, and I actually loved her style on the show. But has Meghan’s style changed a lot since her early days, or even after her relationship with Prince Harry was announced? Well, we went way back to 2008, and even though she did choose different outfits and styles back then, as it’s natural, her style core has stayed more or less the same. Meghan have always chosen midi dresses and skirts, but she also liked shorts and jeans. She was always known for her high stiletto heels, her long hair and chic style. So we think she’ll have no difficulty fitting into her new role as Prince Harry’s fiance and soon-to-be wife. 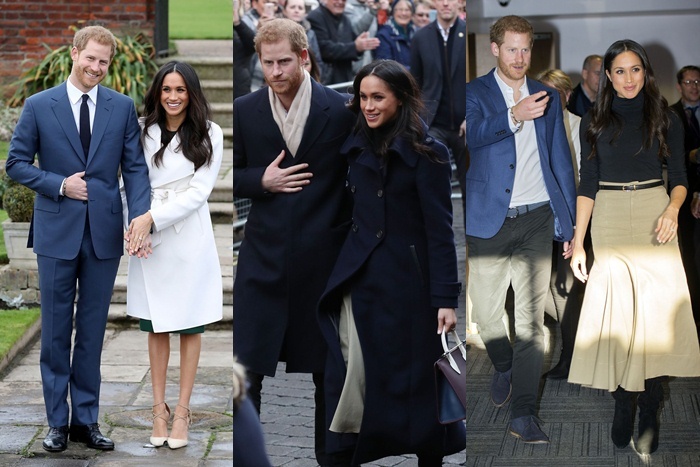 We love how she changed her style slightly after the announcement of the relationship, and she’s looking amazing in the most recent photos of their engagement with Prince Harry. We actually can’t wait to see her style evolve even more in the future, and we’re hoping that she’ll be bringing a breath of fresh air into the Royal family. Let’s hope so! We’ll definitely keep an eye on her and her style. But for now, let’s see how her style evolved from 2008 and on (the top picture shows her more recent style choices). Everyone knows that boots are a staple in every woman’s wardrobe during Winter. And let’s be honest we all own more than we need. But can you blame us? 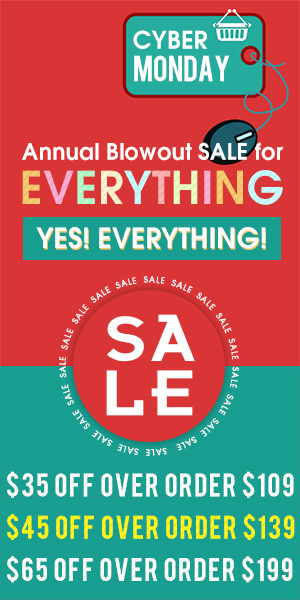 Each year fashion industries come out with the most adorable patterns and designs. 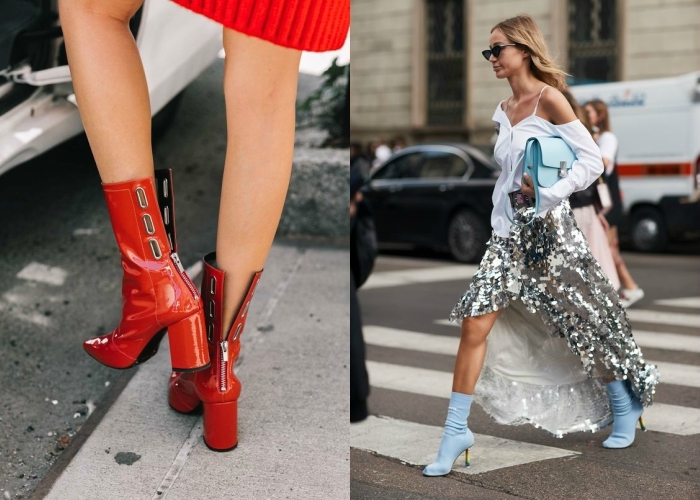 What are though the latest trends and which boots, the beauty bloggers and influencers choose this Winter? We are about to find out. Nina Dobrev is charming than ever in her latest interview for Ocean Drive Magazine. She appears in September’s cover wearing a Prada jacket, top and skirt while posing poolside. Her stylist Ilaria Urbinati chose pieces from the fall collections of famous brands like Versace, Emporio Armani and Dolce & Gabbana. As part of the People’s Most Beautiful issue and especially part of the no make up on section, she talks about unrealistic beauty standards and how they affect the young girls in her opinion. Take a look below for more shots. Amber Heard started getting widely known after her relationship with Johnny Depp. Ηowever she will always be my new age Old-Hollywood glamour icon. Her very feminine look is not something she creates for her red carpet appearances – she always dresses like that, reminiscing a beauty of another era. Either wearing glamorous gowns or tuxedos, with or without red lipstick, she always looks stunning. So this article, as you may have already understood, is going to feature her best looks. Enjoy! *This is a guest post by Marianna of Vintageholicblog.com. Find her also on Instagram!! Coachella Festival takes place in April every year at the Coachella Valley in California and it lasts for 3 weekends, when many bands perform! 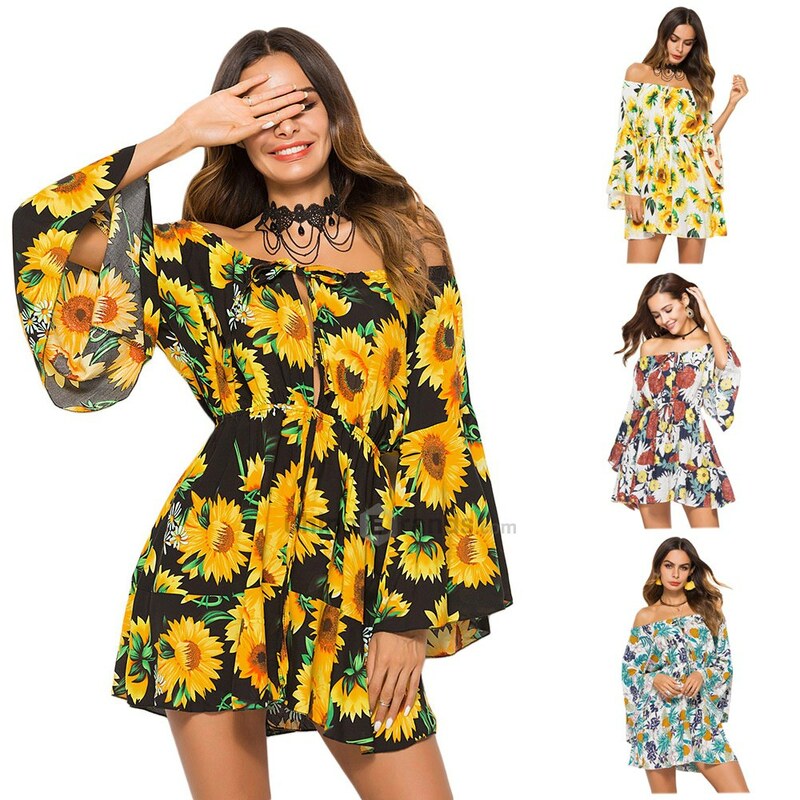 The festival has a hippie, 60’s vibe and every year the hot topic around the festival is the stylish -or not- choices of its visitors! So let’s take a look at the fashionable bloggers who attended the festival during the first weekend!